Laser Institute of America (LIA), founded in 1968, is the professional society for laser applications and safety. 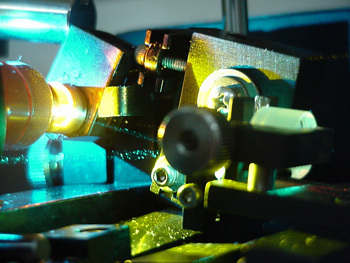 Our mission is to foster lasers, laser applications, and laser safety worldwide. LIA cultivates innovation, ingenuity and inspiration to promote the continued growth and safe use of laser applications. At LIA, we believe in the importance of sharing new ideas about lasers. In fact, laser pioneers such as Dr. Arthur Schawlow and Dr. Theodore H. Maiman were among LIA’s original founders who set the stage for our enduring mission to promote laser applications and their safe use through education, training and symposia. 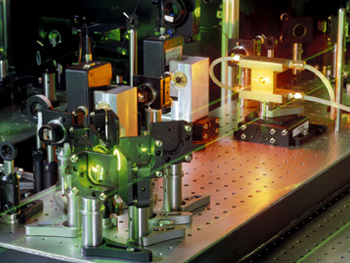 LIA was formed in 1968 by people who represented the heart of the profession—a group of academic scientists, developers and engineers who were truly passionate about taking an emerging new laser technology and turning it into a viable industry. Today, this unwavering dedication continues to propel LIA as we meet the growing demand for continuing education and safety training. LIA trains more Laser Safety Officers than any other organization in the world. We are also proud to offer flexible and convenient learning options including online, classroom based and onsite training. Laser Institute of America cultivates innovation, ingenuity and inspiration to promote the continued growth and safe use of laser applications. One of LIA’s signature events is the International Congress on Applications of Lasers & Electro-Optics (ICALEO®), which is viewed as the premier source of technical information in the field. As the market demand for laser applications continues to rise globally, LIA’s Lasers for Manufacturing Event (LME®) has become increasingly more popular. Laser safety experts from all over the world meet at the International Laser Safety Conference (ILSC®) and significant impacts on the widespread industrial implementations of laser additive manufacturing continue to be shared at LIA's Laser Additive Manufacturing Workshop (LAM®). Our latest, the Industrial Laser Conference, teaches attendees how to incorporate lasers into your manufacturing processes to stay competitive in the current high-tech market. To further enhance LIA’s mission of fostering lasers, laser applications and laser safety worldwide, it serves as the secretariat and publisher of the American National Standards Institute (ANSI) Z136 series of laser safety standards. These standards constitute the foundation of laser safety programs nationwide. Whether you are new to the world of lasers or an experienced laser professional, LIA is for you. We offer a wide array of products, services, education and events to enhance your laser application and safety knowledge and expertise. As an individual or corporate member, you will qualify for significant discounts on LIA materials, training courses and the industry's most popular LIA conferences. We invite you to become part of the LIA experience-cultivating innovation, ingenuity and inspiration.